Winter in Stockholm can be both amazing and tough, as it is simultaneously beautiful and bleak. If you are the kind of person that wants to avoid the cold and find pleasant spots indoors during winter, then Stockholm has you covered. If, on the other hand, you want to embrace the cold, experience the chill and have an interesting adventure during the Swedish winter then the city has some great places to check out. Here are some spots to experience Stockholm’s winter magic. During summer Vasaparken is one of the top spots for sunseekers, sports players, and runners, especially since it is perfectly located in the center of the city. 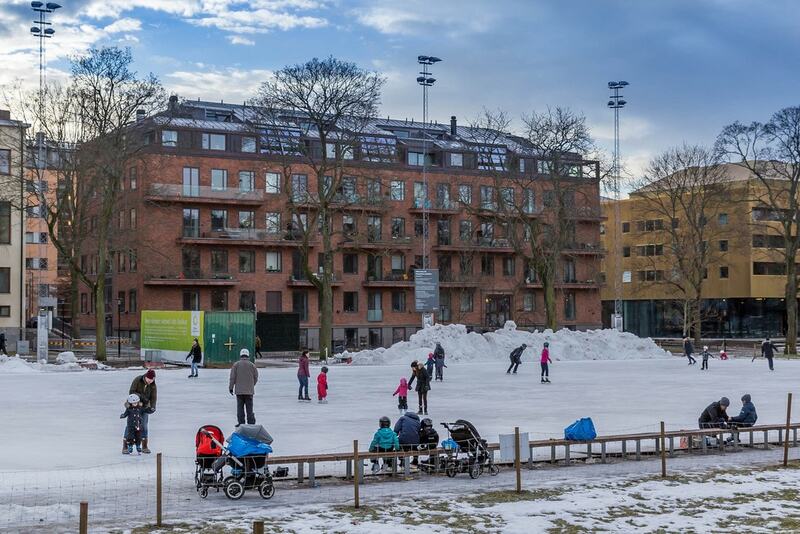 During winter it houses one of Stockholm’s best outdoor ice rinks with conveniently long opening hours (8 a.m.-9 p.m. on weekdays and 10 a.m.-9 p.m. on weekends), and is in operation from November right up to March. When the park is lit up it’s a beautiful place to skate and because the ice is made mechanically, the surface is usually smoother and more reliable than a natural one. When the wind is blowing outside and snow is falling, sometimes all you want is a warm, cozy, and calm place to enjoy a sweet treat and a warm drink. 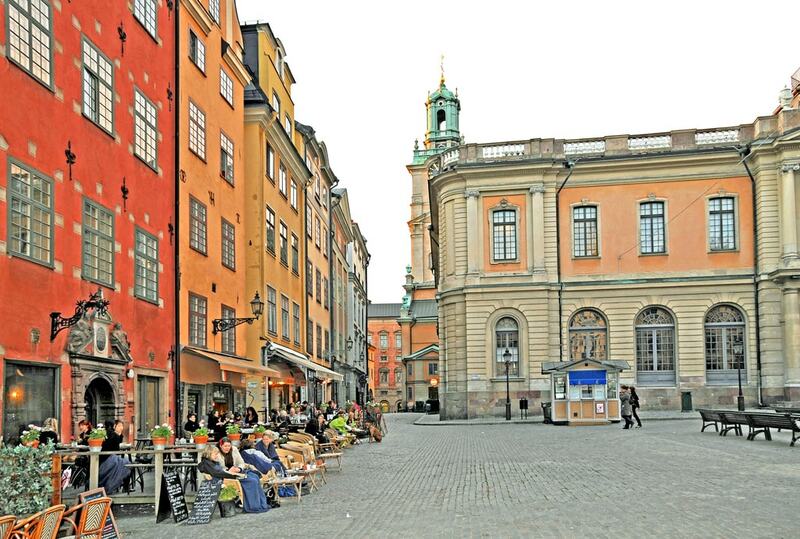 In Stockholm’s old town, Gamla Stan, the beautiful central square Stora Torget is home to a cafe called Cafe Koppen, whose candlelit downstairs seating area is one of Stockholm’s most mysig (cozy) places. Stepping down the stairs feels like going back in time. They serve a range of hot drinks and food, including sandwiches, lasagna, and baked potatoes. Winter in Sweden can, at times, be a little tough for the soul. If you are working during the day you might barely see the sun, as it’s yet to rise when you set off for work and then set by the time your day is done. A lot of Stockholmers then look for a pick me up, something to lighten the mood and inject some joy into their days. 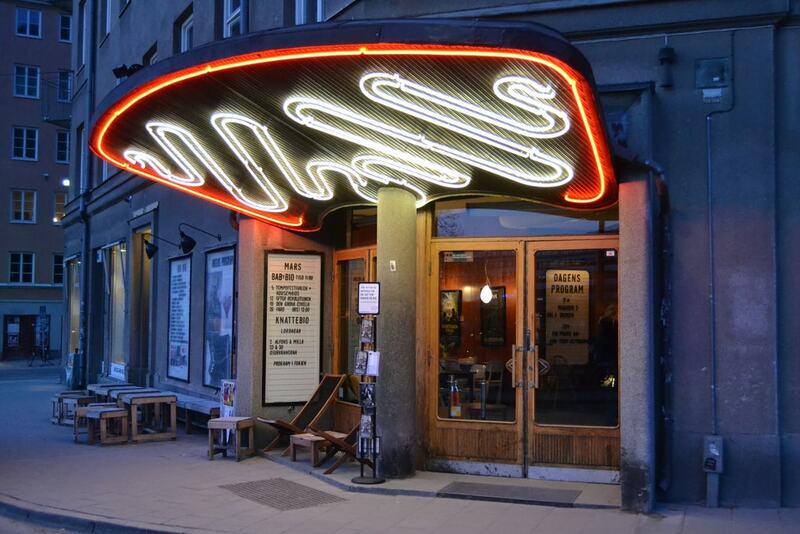 Bio Rio is a beautiful Art Deco cinema in Hornstull that shows a fantastic selection of films in the winter. As soon as you step into their huge screening room, you will be transported away from wintry Scandinavia and into an imaginative and alternative world. They also have a brilliant bistro and bar so you can while a whole evening away there. There is nothing better as a winter warmer than a delicious and hearty bowl of soup. Stockholm’s range of places to get soup is absolutely vast, with many Stockholmers engaged in an ongoing quest for the perfect bowl. Fish soup is, of course, particularly good—with the offerings at Kajsas Fisk being a particular standout and a real favorite of Stockholmers. If you are looking for something other than fish, then Sibiriens Soppkok is excellent and has all manner of different soups, ranging from pea to beef to veggie. With football pitches covered in snow and the season on hold until the spring, many Stockholmers turn their sporting attention to Ice Hockey. The Swedish Hockey League is one of the best in the world. Only the NHL in the United States and the Russian league surpass it in terms of quality, according to the Hockey website “Eyes on the Prize.” Stockholm’s SHL team, Djurgarden, play at Hovet, a classic hockey stadium in central Stockholm that has a wonderful atmosphere both on and off the ice. For anyone with a passing interest in sports, it’s an excellent place to be during winter. 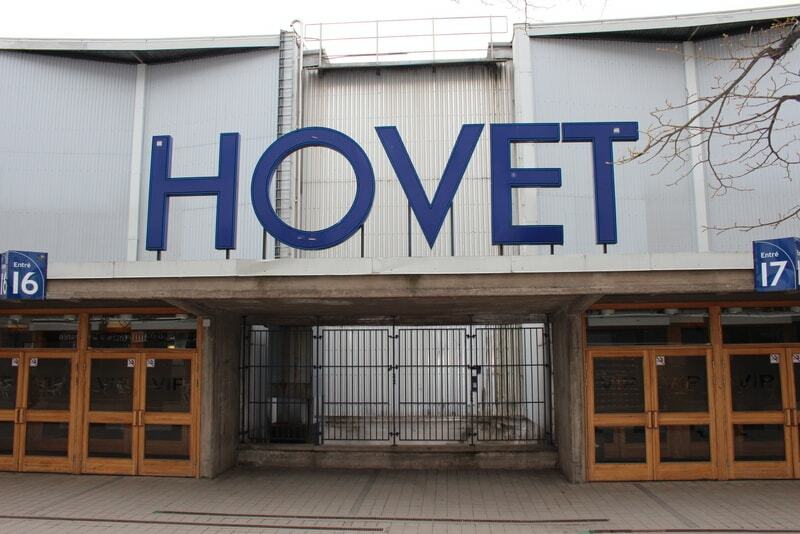 Hovet is a classic Stockholm Hockey venue |© Eurovisonary / CC 4.0. For those of you willing to brave the full force of winter, there are few more amazing sights than Tyresta national park when it’s covered in snow. The air is incredibly crisp, the hiking trails look picture perfect, and the café and shop remain open so you can grab a drink to warm you up after exploring one of Stockholm’s most stunning outdoor spaces. It’s very easy to access from the center of the city by bus from the central station. The bus journey takes you from city to countryside and therefore is a wonderful way to see different parts of Stockholm. 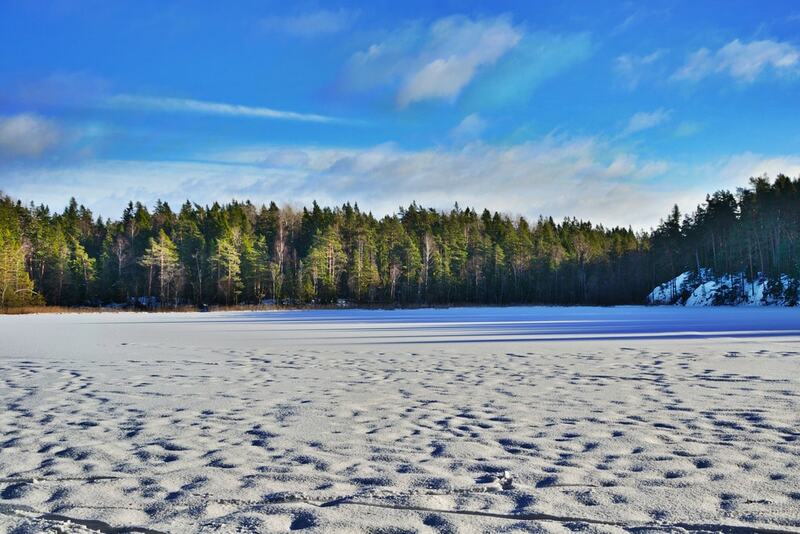 For the brave and determined winter traveler, Tyresta national park is a super winter spot. The Stockholm archipelago and its various small islands are wonderful to explore in winter and can provide a beautiful way to pass a day. Being wrapped up warm inside the boat and having a glass of the traditional Swedish mulled wine, or “glogg,” while you sail through ice floes with a view of snow-filled banks is very special. Many tours will even provide special warm clothes and blankets for people bold enough to go outside. It’s an enjoyable way to see a great deal of Stockholm and the archipelago—wrapped up warm but still experiencing the thrill of a traditional Swedish winter. 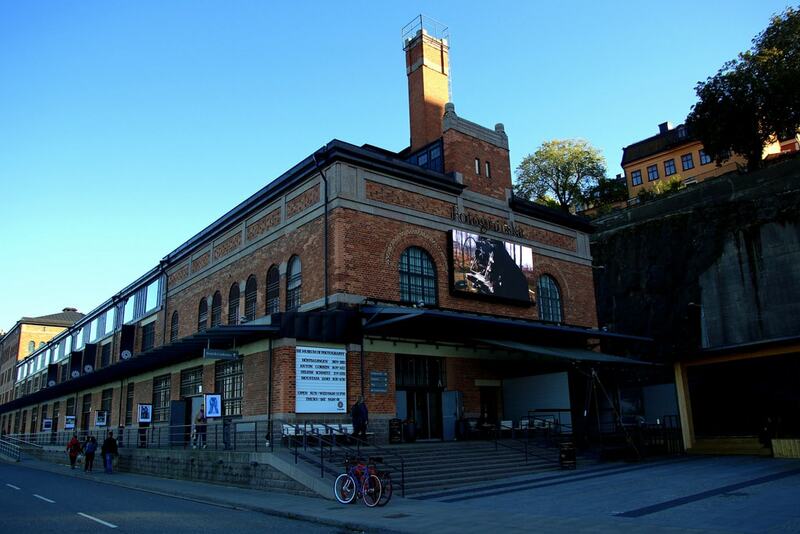 A photography gallery so popular that they are opening another branch in London, Fotografiska is a great place to escape the cold and to experience one of Stockholm’s best cultural centers. They have a series of rotating exhibitions often featuring work by renowned international photographers as well as rising and established Swedish stars. It also has an award-winning restaurant and café that has beautiful views of the island of Djurgarden. It is an uplifting creative hub that helps to reinvigorate you during dark winter days. For fans of winter sports, Hellasgarden is a great place to be in winter. Around 25 minutes from the center of the city, Hellasgården has slopes for downhill skiers and paths for cross country skiers. There’s even a swimhole cut directly out of the ice for the really adventurous among you! The on-site café serves a range of drinks and snacks and on weekends they fire up grills where you can cook your own sausages and burgers which you can buy inside the café. There is even a fun sledding hill fit for both adults and children—but you must bring your own sled. Stockholm has a number of Christmas markets spaced across the city but the one in Gamla Stan, Stockholm’s old city, is particularly special. Granted, it’s a little touristy and can get quite busy, but it’s also atmospheric, full of delicious food and drink, and blessed with a brilliant selection of beautiful handmade Swedish handicrafts. It is held in Stora Torget, the main square in Gamla Stan opposite the Nobel Museum, and in the shadow of the royal palace. It’s a cozy, calm, and charming and fun place to spend a winter’s day or evening. While not quite as ubiquitous as in Finland, many Swedes will flock to a sauna during the colder months to get an injection of heat and be transported to warmer climes. Stockholm has a number of great sauna options, with some Swedes taking a dip in a freezing lake before hopping into the sauna. One of the best options is Centralbadet, which is in central Stockholm and offers spa services as well as their excellent sauna. 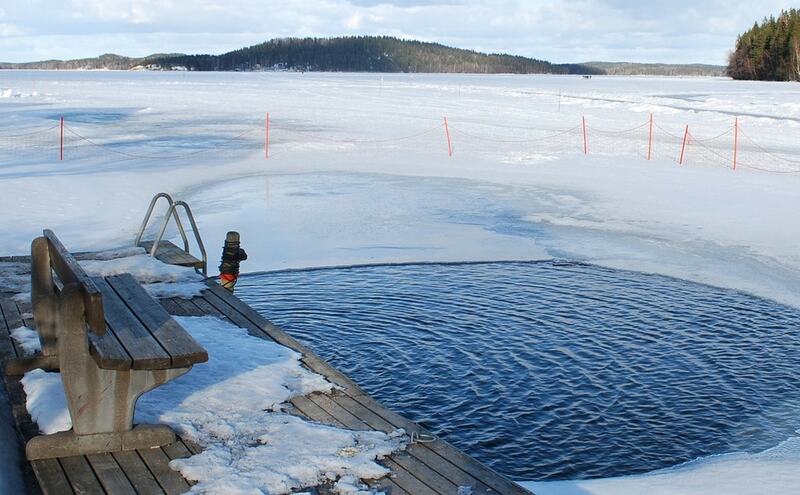 In addition, the above Hellasgarden has a sauna right next to their ice swim hole, so you can experience the thrill of extreme cold before relaxing in a welcoming warm sauna.